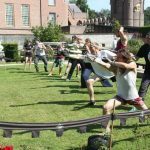 Each month, we interview one of the members of our federation to give an idea of what’s going on in the Dutch H.E.M.A. scene. Buongiorno! Manuela here. I am Italian and when I do not train I am a system engineer. I have four cats, one husband, I love contact sports and I moved to the Netherlands from Italy about 10 years ago. How did you end up doing H.E.M.A? It was a sunny Sunday almost 3 years ago. I was visiting a knives fair and Petra and Cem from Zwaard & Steen had a stand there with swords and manuals. Cem gave us a quick lesson just behind the stand. 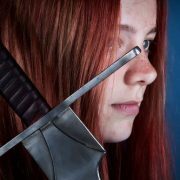 I still remember how clumsy I was while trying to understand what to do with the weapon. 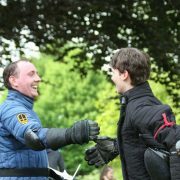 A few months later I had my first lesson at Zwaard & Steen and am still going strong. Where (and what) do you train? 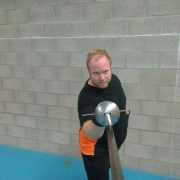 I train in longsword with Zwaard & Steen in Nieuwegein, near Utrecht. 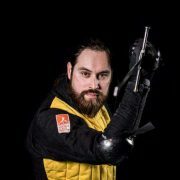 In the past, I’ve participated in various workshops in sword and buckler, pugilism, quarter staff, military sabre, and rapier and dagger. I would like to start training regularly in pugilism and learning more of rapier and dagger in the future. Zwaard & Steen is very diverse. We get the opportunity to spar at the end of the lessons and are actively encouraged to do so with experienced and beginning fighters alike. They all have their own way of fighting and every exchange is a learning experience. From time to time instructors do parts of exercises with us, which increases our understanding of the drill and gets us as close as possible to a good execution of it. The instructors also join in with sparring at the end of the class. You have been to several international events. How would you compare ‘Dutch’ H.E.M.A. to H.E.M.A. in other countries? I do not see any difference between international events or Dutch ones. Every event is pretty unique and has its own appeal. I like that there are always new events coming out and sometimes it’s difficult to choose! In the end, they’re all good events, and it’s up to the event planners, crew and fighters themselves to make it special. Having trained in Italy as a guest in Davide and Federico’s school, Sala d’arme dell’Appeso, I haven’t found a distinctive difference between Dutch H.E.M.A. practitioners or practitioners from other countries. I was truly happy to see that H.E.M.A. is good no matter where we go or where we train. 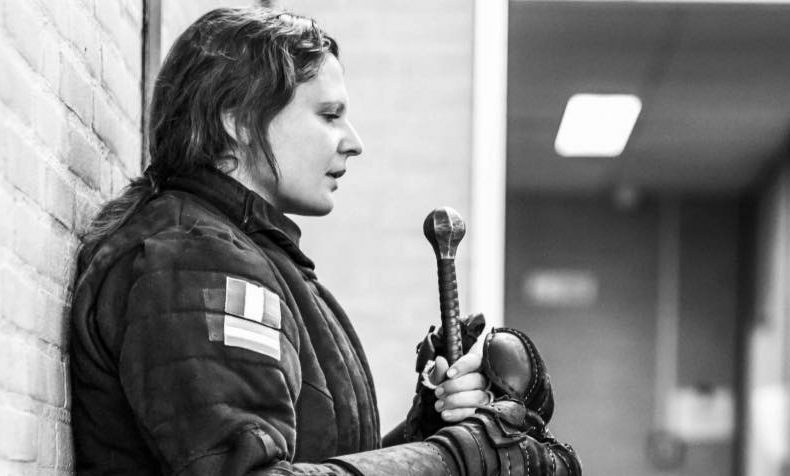 You participate in both open and women’s competitions; how would you compare fighting in these competitions? I like to have the possibility to choose. 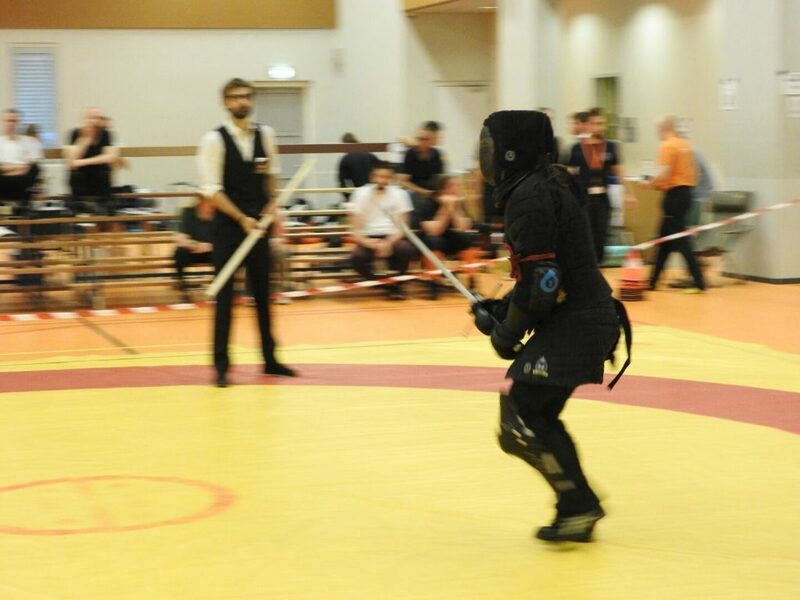 I fight totally different when I am fighting in a women-only competition or an open tournament. I know most people will despise me for this, but in women-only competitions, all my focus goes into not hurting my opponent, into making sure I am not disappointing her. I feel a very strong mommy–instinct towards my H.E.M.A.-friends. 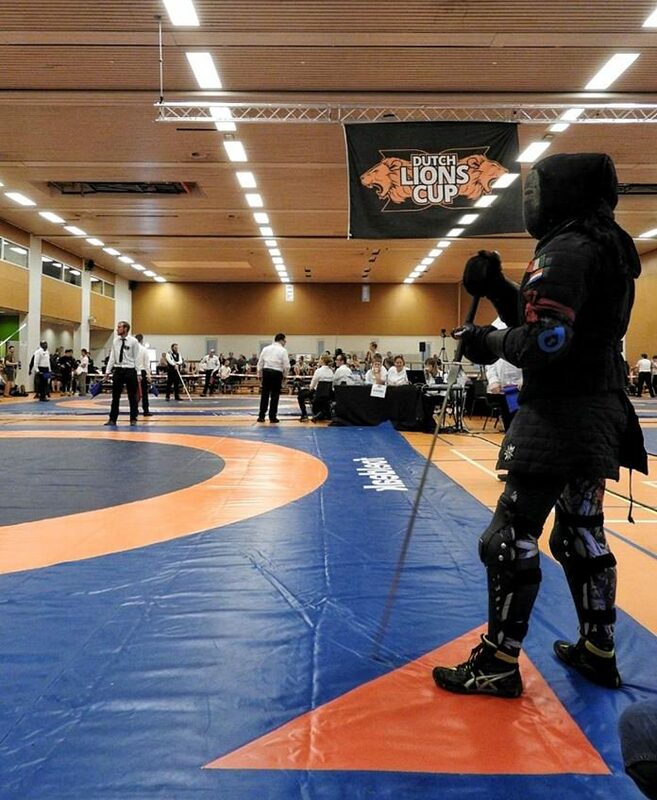 In open tournaments, I am still afraid to hurt my opponent but somehow the feeling is less, the pressure is lower. This makes me enjoy the fight more, even if I don’t stand a chance. As far as fighting women in an open tournament goes, I haven’t had that opportunity yet, but I am looking forward to it! Do have any ambitions or dreams? My current goal is to keep learning from my mistakes and to keep on getting fitter and stronger. 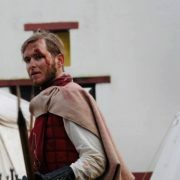 I have a big crush on pugilism, so my dream is to pick that up seriously. For now, it’s just practicing at home and reading all the materials I can find. I like pugilism because it’s a completion of boxing and I’ve always loved boxing. The difficult part of starting with boxing is accepting that you’re going to be hit. Getting punched is very close and personal. Do you have any advice/good starting points for others interested in pugilism? My advice, and I am not an instructor so this is simply a student’s advice, would be to learn to take a punch first. It will make everything else easier. Also never forget to train the neck. The wrestler bridge is my favorite exercise for that. What does your training schedule look like? How often do you do H.E.M.A. and what do you do outside of H.E.M.A., training-wise? I train H.E.M.A. three times a week: Monday, Thursday and Friday. Every morning and evening (when I do not train H.E.M.A.) I have a 15 minutes training session, either HIIT (High Intensity Interval Training), weight lifting, or simple exercises (push-ups, planks, crunches, squats). What will H.E.M.A. be like in the future, what are your expectations? I want to see all our disciplines in the Olympics! Having it recognized as a sport was already a huge victory, now I truly place my trust in the bond to make the rest happen. What is your fondest H.E.M.A. memory? I don’t have a ‘fondest memory’ yet. I suppose I’m still working on it. If I have to pick the funniest, it was my fight against Michela at swordfish 2015. I had no idea the top 16 fights would start so quickly and I had never made it out of the pools before. I was dead nervous and they had to come find me (I was on the toilet!) and I started the fight with half a protein bar in my mouth. I lost of course, but the thought of that still makes me giggle. Everybody that is making progress makes me proud, from the beginner that put himself in the ring the first time to the students ending the heaviest trainings full of sweat and smiles. Students moving up to become instructors, instructors distinguishing themselves in various tournaments (I am not talking about winning, but putting on a good fight, I’d rather see good technical exchanges than a win just for the sake of winning). Do you have any advice for those just starting out in H.E.M.A.? I’d like to say to anybody new starting H.E.M.A. to not be afraid or concerned if they didn’t train in years, or they’re lacking confidence, I’d recommend to just join a school and try it out. If that school is not comfortable or if it just does not feel right, just change school and try somewhere else. Do not give up! I wrote enough now, let’s go train some more!